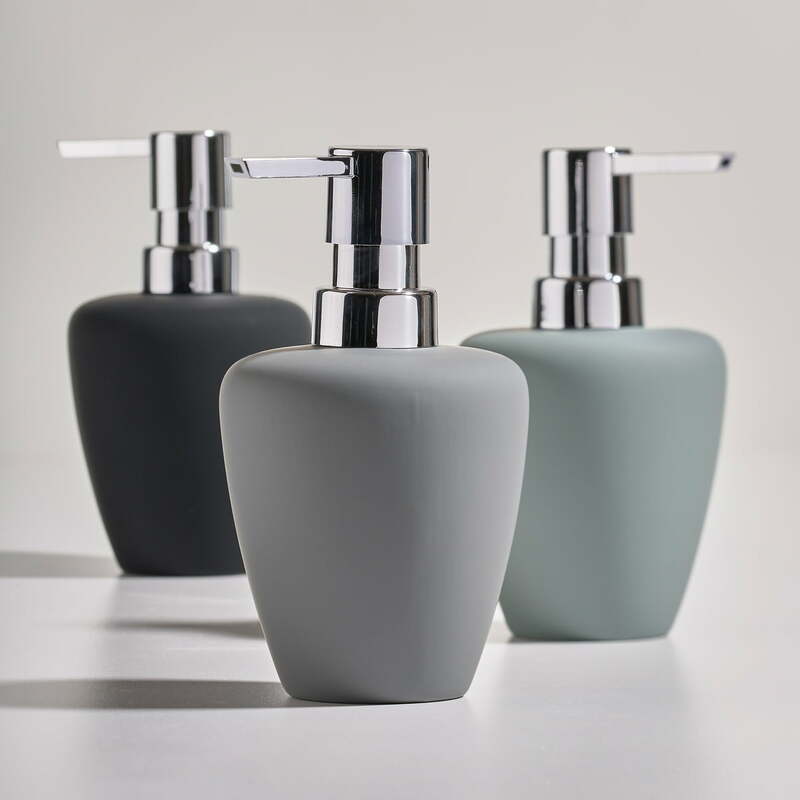 The Soft soap dispenser by Zone Denmark belongs to the collection of the same name that consists of selected bathroom accessories with a modern design. The container's curves are moulded from porcelain and finished with a silky matt soft-touch surface. The result is a dispenser that is pleasant to the touch as well as elegant in any bathroom. Despite its cold character, the pump head made of polished stainless steel harmonises wonderfully with the soft porcelain and creates a fascinating visual contrast. High-quality processing also prevents any soap residue dripping after use. 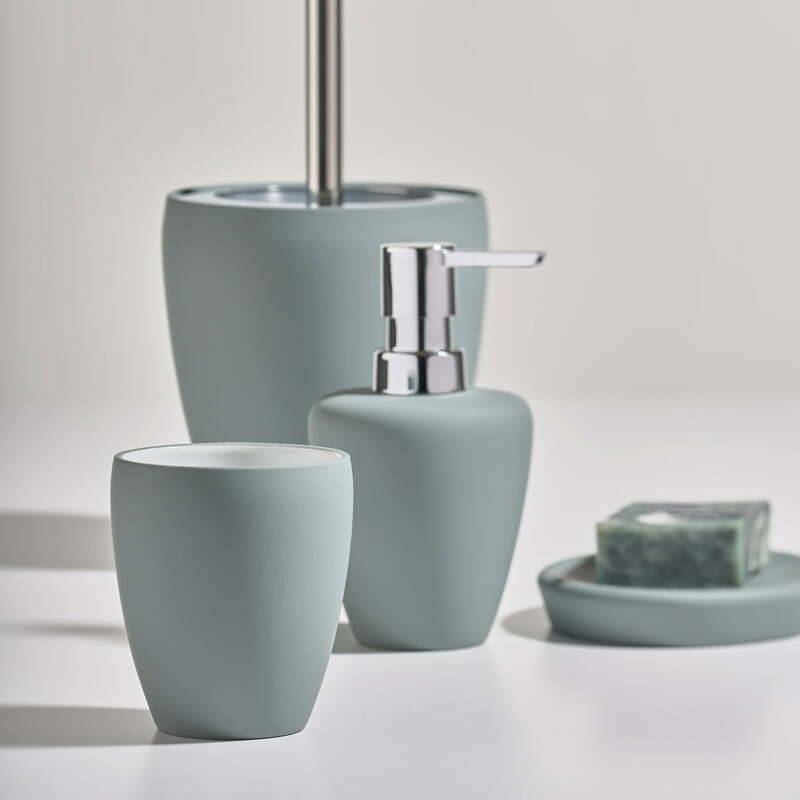 Combined with other accessories from the Soft series, a stylish ensemble can be put together that visually and atmospherically enhances any bathroom. 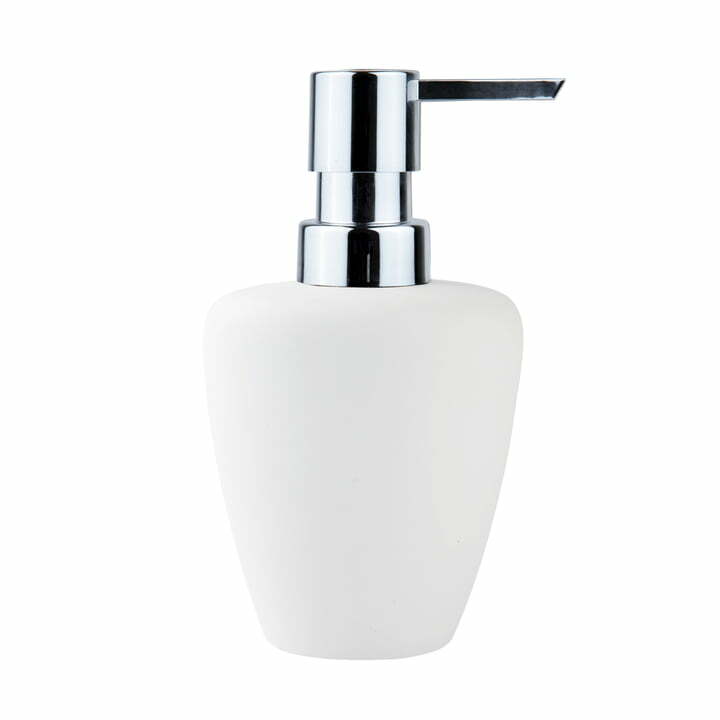 The soap dispenser is available in various colours. Isolated product image of the Zone Denmark - Soft soap dispenser in white. The pump head made of polished stainless steel provides a visual contrast that, despite its cool nature, harmonises wonderfully with the soft porcelain.